For the past three days, the APT Kickoff 2017, the first Asian Poker Tour event of the year, has been ongoing at Resorts World Manila in Newport City, Manila, Philippines. The event is scheduled to run from January 11th-19th, with 18 side events and a US$1,650 buy-in Main Event. The first few events have already completed with a couple of pros going the distance and claiming early trophies. Also introduced, is the APT Player of the Series, the newest APT player incentive program. The NLH Welcome Event opened the festival with many notable players included in the 120 entries. The event ran for two days with Filipino pro John Tech cruising to the top for a US$3,900 payout. On his path to victory, Tech eliminated four players at the Final 8 table. Local pro, Lester Edoc was on fire at the Main Event Warm-Up, eliminating five players at the Final 8 table, which included Japanese pro Tetsuya Tsuchikawa, to capture the trophy and the US$7,840 first prize. Edoc outlasted a field of 73 players, finishing it off in dramatic fashion. He cracked Filipino Moses Saquing’s pocket aces with trip kings on the very first hand of the heads up round. The newest APT player incentive program is the APT Player of the Series (APT POS). While the past year’s APT Player of the Year (APT POY) program rewarded the overall winner and point leaders in regional brackets, this year is much different. The APT POY is still running but the overall prize has been adjusted to give way to the APT POS which awards more players at every stop. The top three players with the highest points accrued only for that series are the APT POS winners and will receive exclusive awards. The APT Game of Champions is exclusively for players who have qualified into the event. All APT POS winners and all trophy winners of 2017 automatically qualify into the tournament. The APT POY 2016 champion, Iori Yogo, and the five APT Regional POY 2016 bracket winners were also given courtesy qualification for their past achievements. One thing quite interesting is the format of the APT Game of Champions (APT GOC). The starting stack of a player is dependent on how many times they have qualified. First time qualifiers receive 25,000 in chips, and for every additional time they qualify, it increases by 5,000. Another enticing incentive is the US$10,000 added funds by the APT. This added pot will only be awarded to the top three finishers of the APT GOC distributed as 50%, 30%, 20% respectively. The cost for the APT GOC is US$550 with one add-on of US$200 allowed. Only qualifiers will be allowed to buy in to the event. 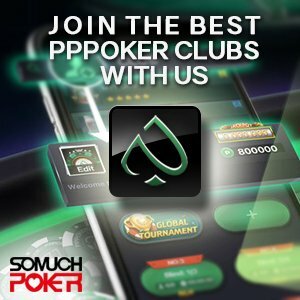 The APT Kickoff 2017 has just reached its halfway mark so stay tuned to Somuchpoker for more updates within the coming days.